As it has done for ages, the Han River continues to pierce the very center of the capital city Seoul. But one day in the year 2000…Through an unfortunate incident, a creature of an obscure nature is conceived in the waters of the river. 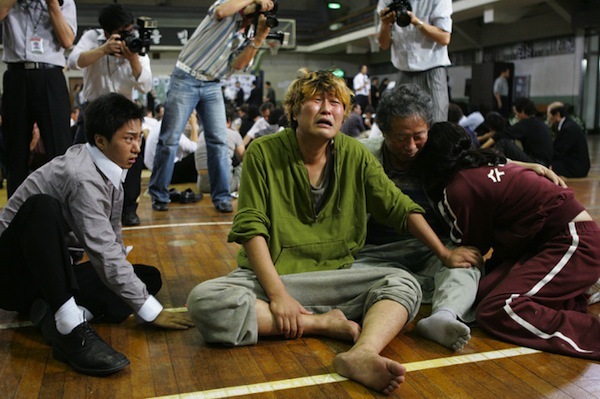 As the creature slowly starts to grow in the depths of the river, people fail to sense signs of an impending disaster, devoting themselves to the Korea-Japan World Cup soccer finals, the President elections and to their individual lives. Then one day in 2005, in front of countless citizens taking a stroll and enjoying the weekend on the banks of the Han River, the creature reveals itself in a shocking display of horror. And mass slaughter…in an instant, the riverbank is turned into a gruesome sea of blood. 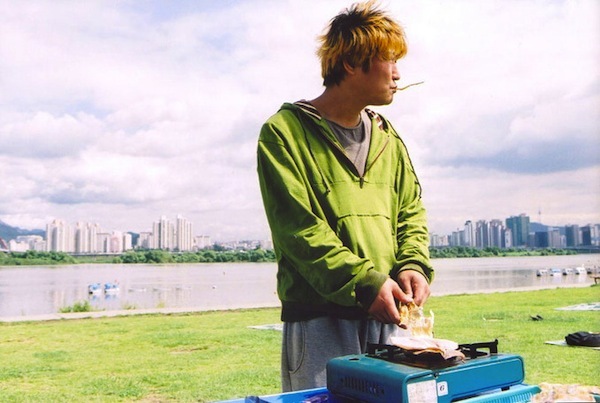 The main character Gang-du is a man who passes tedious days operating a snack bar next to the river. On that day of great destruction, he witnesses his one and only daughter eaten up by the creature right before his eyes. The sudden appearance unforeseen and unexpected circumstances renders the government and state powerless to act… And the once-ordinary citizen Gang-du and his family are thrust into a battle with the monster to rescue Hyun-seo. On the banks of the river, which are completely closed off by the government and declared a danger zone, Gang-du and his family rush into an unstoppable showdown with the monster. 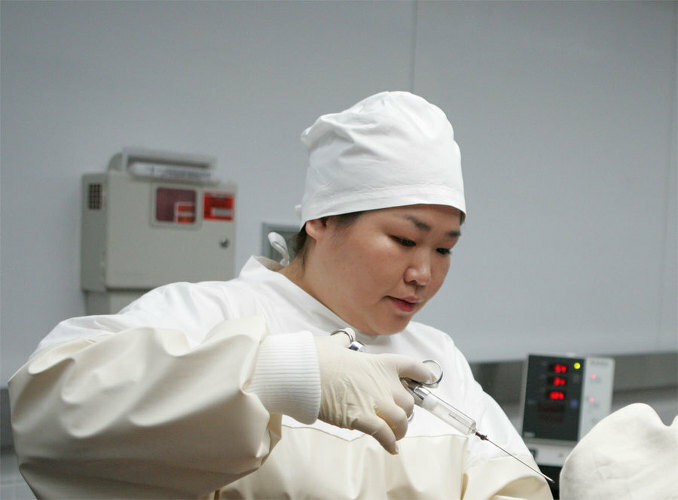 Basic premise of "The Host" was derived by Bong Joon-Ho from the real life "McFarland Incident" in 2000 (a U.S. military employee discharged approximately 470 bottles of formaldehyde into the Han river). Bong Joon-Ho started scripting "The Host" in 2002, while filming "Memories of Murder". Main cast members (all having worked with Bong previously) agreed to star in the film after listening to the synopsis only (screen play was not written at the time). Actual production of "The Host" began at the end of 2003. 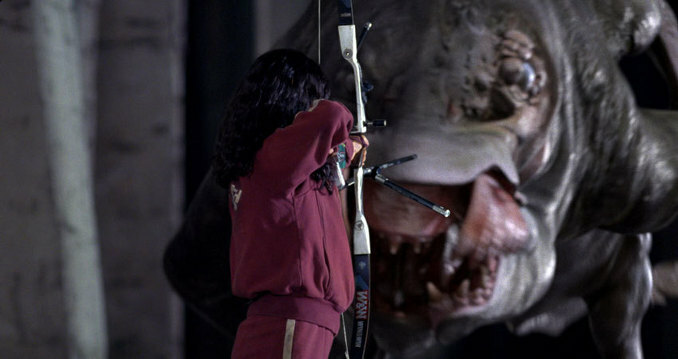 In 2005, Bong contacted New Zealand's Weta Workshop (The Lord of the Rings trilogy) for special effects. At the last moment pricing negotiations could not be agreed upon and Bong turned to U.S. graphics company Orphange (Sin City / Hellboy). The monster in "The Host" was finalized in mid-2005, after nearly 1,000 designs and 2,000 sketches later. Filming commenced in July, 2005. 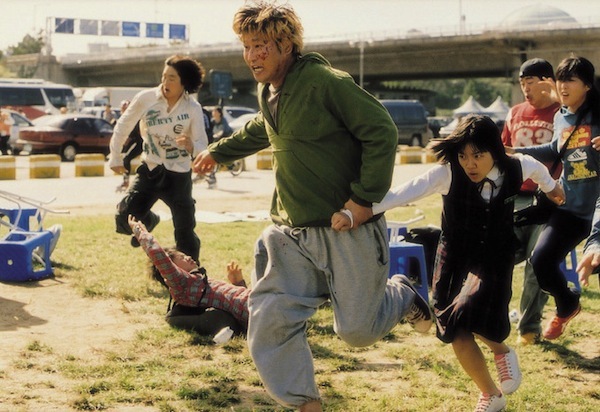 Most of the filming was shot around the Han River in Seoul, South Korea. 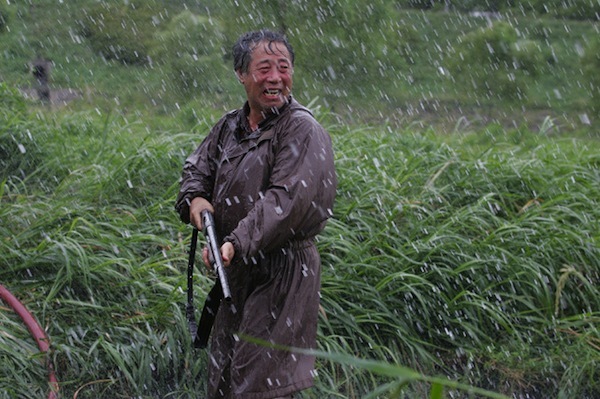 Heavy rains during filming caused many delays. During the actual filming sessions, Jong-ho Bong kept in touch with the U.S. f/x company via video conferences. Filming completed in January, 2006. Final edition was completed prior to the Cannes Film Festival in May, 2006 (film was invited to the Directors' Fortnight section and played there). 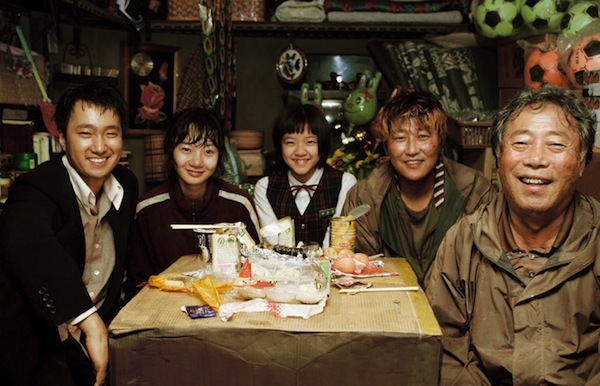 A further final revision was released in Korean cinemas on July 27, 2006. The film screened on 620 screens nationwide. "The Host" shattered all Korean box office records, eclipsing 1 million viewers in 2 days, 5 million in 11 days and breaking the prior all-time 12.3 million viewer mark, held by The King and the Clown in 38 days. The Host will be remade into a Hollywood film. Pirates of the Carribean director Gore Verbinski will produce the film, first time director Fredrik Bond will helm the film and the movie will be backed by Universal Pictures. 3D version of the "The Host" premiered at the 2011 (16th) Busan International Film Festival. 3D version of the "The Host" will be released in South Korean theaters sometime in January/February, 2012. Wayer Dec 25 2016 9:25 am Excellent movie with stellar casts. I've repeated this movie several times already... The messages depicted in this movie apply to us all; blood is thicker than water & please take care of the environment! iliekater Mar 25 2016 5:10 pm Just one of the best Korean movies ! suou Mar 17 2010 12:20 am Go Ah Sung is a jewel not only in the heart of Hyun Seo's family, but also in viewers heart. While she didn't appear too often in the movie, her character become one of main appeal & even most of The Host posters are featured her.